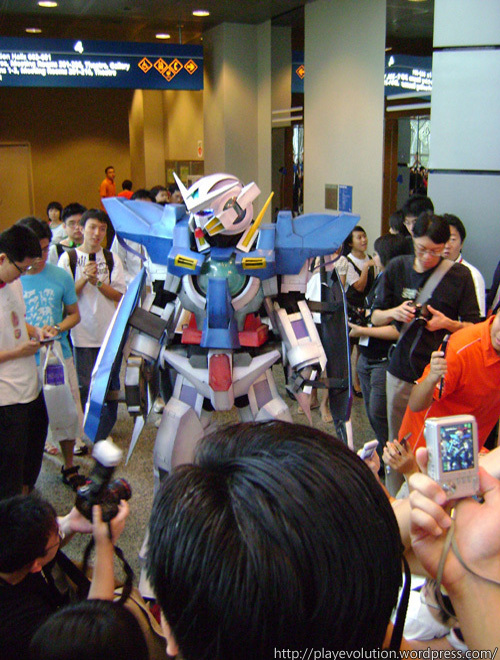 I just got home from the first day of Anime Festival Asia 2009 and here are the photos I’ve taken. First things first, this year’s event has been way more commercialized than the last with booths selling stuff everywhere and tons and tons more people. Cosplayers were also larger in number and dispersed randomly making it hard to take photos when you’re trying to do it among the crowds and the SLR-equipped folks. Nonetheless there are 132 images in the link below, so enjoy and please forgive me for some of the sloppy hit-and-run shots. As with my previous event coverage, click on the images for larger-resolution versions. What I really hate about WordPress is how you have to manually insert every single photograph into an entry despite having bulk upload capability. I’m glad I churned out a little piece of code in MATLAB to help me automate this during the time it took to upload the photos muahahaha one thing from school that’s useful. So besides the heavy commercialization and crazy crowds, I also forgot about Danny Choo’s appearance on stage. I did catch the last few minutes of his talk though. After that I was camping out at the concert venue with some of my party members to leech some music but got chased out by the organisers in the afternoon. So being dissatisfied that I forked out SGD$20 for a pretty unsatisfying day I roamed around to see if I could at least buy something from the event. I hate to say it but you really get to see a lot of stereotyped “otakus” around – the kind that put people off or even in rare cases disgust them. Of course, it’s not as extreme as the OMG HUNCHED FAT SLR-EQUIPPED SCARY LOOKING FAT DUDE PHOTOSHOPPED WITH SPECIAL FORCES picture but it’s getting there. You also realise that because of their lifestyle, some of these folks have developed many interesting social behaviour patterns, one of my favourite being decreased social inhibition. I’m not saying it’s bad to be forthcoming in a largely reserved, inconsiderate and apathetic society that most Singaporeans belong to, but if someone whom a layman would stereotype as being an otaku (given today’s trends and everyone using the word) went up to a complete stranger and his/her party and joined their conversation in such a “forthcoming” way, the stranger would be creeped out. No wonder these people get such a bad name. Later in the evening there was a line for the public audience to view the concert but it grew so long so my party gave up and had dinner instead. I was lucky to go for this event for a short while with a few friends and I snapped a few miserable-looking photos. Nonetheless I’ll still post them up here. You can see them posing with the cosplayers and stuff. 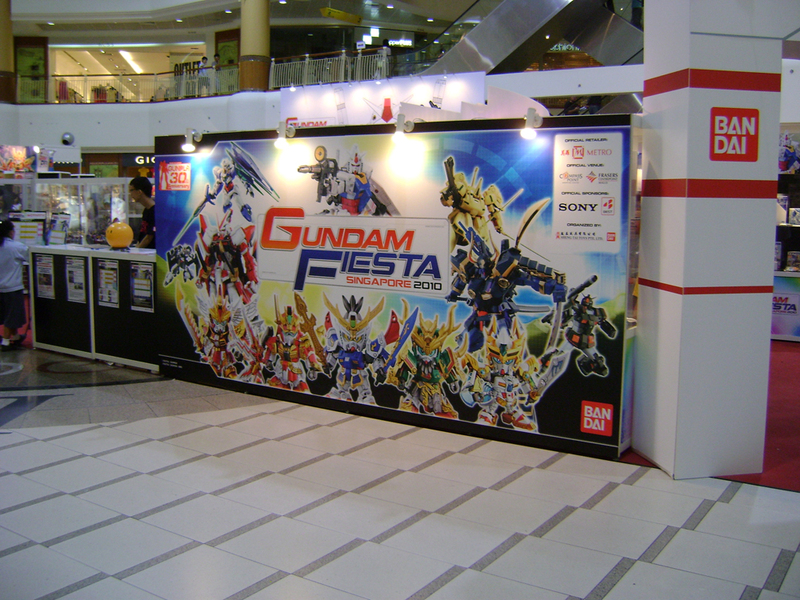 By the way, I left the place with a 1/100 00 Gundam GET!! edit: Re-uploaded the pictures to include captions and stuff. Am currently being annoyed by WordPress appending 1’s and 2’s to my pictures.